My wife loves fitness. She’s one of those CrossFit fanatics. Her idea of a good workout is bloody blisters on her hands and a dull ache in her lower back. I value working out, but I value it in the sense that I think it’s a cool thing to do. My idea of working out is going for a light jog when the weather is nice. Would you believe my wife wasn’t buying it that I valued her interests? She didn’t believe I valued her love of CrossFit until I was willing to put my money where my mouth was. Until I put cash on the table, my words were empty. Some say to “put your money where your mouth is,” but Matthew 6:21 expresses it like this: “Wherever your treasure is, there the desires of your heart will also be.” The point is, you don’t really value something until you’re willing to put your money behind it. 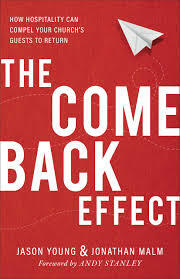 For many ministries, the come back effect is more of an aspirational value than a present value. They would like to create a compelling environment that makes second- and third-time visits the norm, but they aren’t willing to devote the resources necessary to make it happen. The only way an aspirational value becomes a present value is when money backs it up. And you can bet that the staffing ratios would look similar. Yet it takes just as many volunteers—if not more—to make guest services work well at a church. You see, if your ministry values the come back effect, it will leak over into everything. Your money will go there. You’ll staff it. You’ll give them priority. 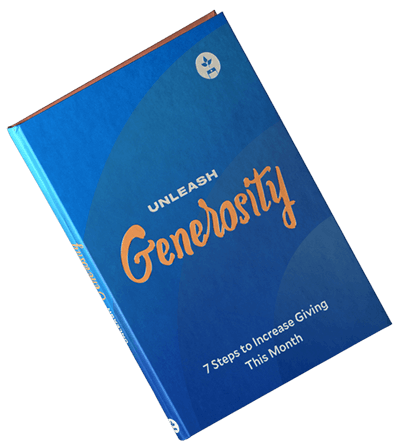 Businesses have long known this principle of putting money where you want the growth. A business doesn’t just start spending money on advertising once they have a bit of excess cash. No, they put money into advertising in order to get the extra cash. You have to put money into the areas where you want growth. The crazy thing is that in a church, nobody really cares about the music or the family groups if they had a bad experience walking in or walking out. They probably won’t be back if they didn’t feel cared for by the people—if hospitality wasn’t part of the church culture. And people will see if hospitality isn’t in the culture of a church, even in the little things. Those little things start with how the ministry organizes its priorities. Service Director: We need a new display for the back wall so our singers don’t have to worry about forgetting the lyrics to the songs on Sunday. It’ll cost around $5,000. Decision Maker: Let’s buy it. Family Ministries Director: We need to buy new curriculum for our kids’ ministry and small groups. Our current curriculum is boring and outdated. It will cost $10,000. Decision Maker: Make it happen! Guest Services Director: I want to feed all our volunteers on Sunday mornings. I was thinking about catering some sandwiches from a local deli. It should cost $100 each week. Decision Maker: That sounds like a lot of money. Can we just buy them canned sausages instead? Okay, perhaps it isn’t quite that drastic. But the same sort of attitude happens in churches all around the country. Show me your budget items, and I’ll show you what your organization truly values. If you want hospitality to stop being just a department in your ministry—and if you want it to become a strong cultural value—you need to put your resources there. You need to value it with more than just words. Editor's Note: Taken from The Come Back Effect by Jason Young and Jonathan Malm. Published by Baker Books, a division of Baker Publishing Group. Copyright (c) 2018. Used by permission.